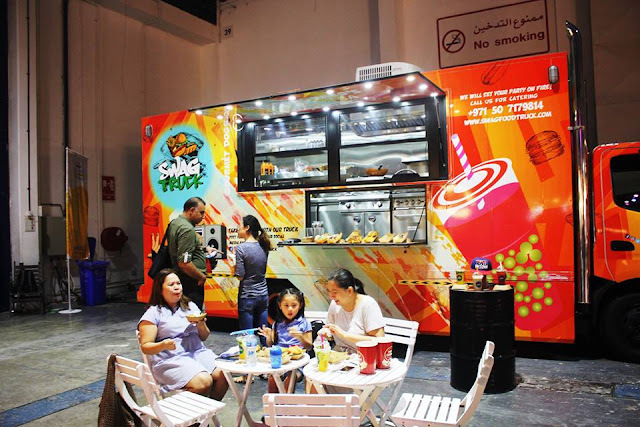 Night derives - as the city relaxes from scorching sun, Dubai World Trade Center converts one of it's hall into foodie haven. 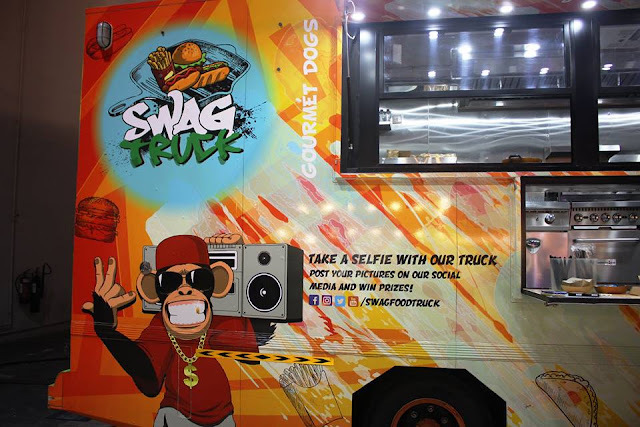 This, my friends, is how innovation in entrepreneurship grind in act, somehow finds its way to lure food truck owners and organizers to this summer event series. A familiar face called me while I was waiting for my beer, Shelston as I realized. Of course I would find their truck on this event, unexpected timing – in a way predictable. 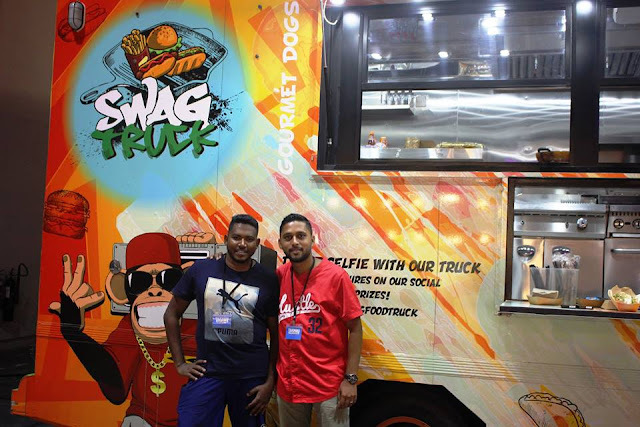 I’ve been planning to film these guys, piece-up their decision, why leave the hospitality industry and there I was, finally made it to Swag Food Truck by chance or not. It was nice catching-up with these two young budding business partner and friends, took the courage to begin a business of their own. The gourmet menu choices pricing reflect their humble launch and cleverness. Not confirming that it is, would be a shame, after all I am a food and beverage cost controller. 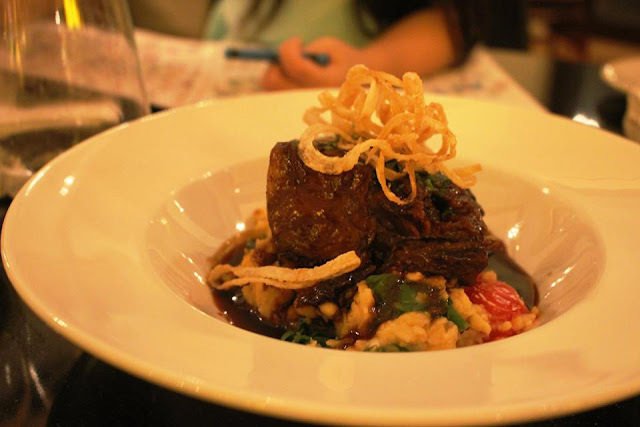 I still could not overcome the gosh of the ribs offered first by Umash, by far - t’was preeminent and delicious! 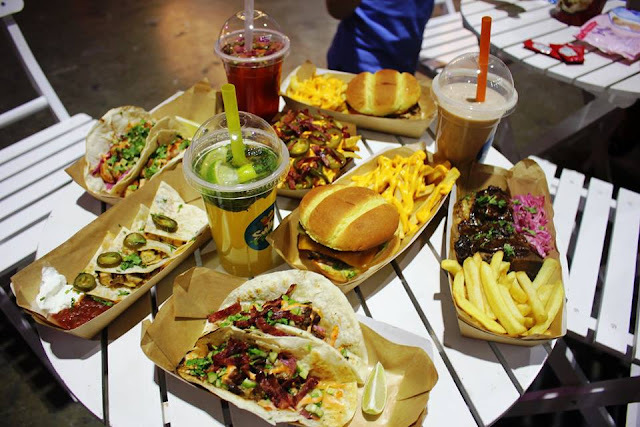 My family and a couple friend from Bahrain enjoyed the rest of the spread, ranges from luscious burgers, specialty tacos and gourmet fries. Besides, drinks selection are refreshing and sensational. They definitely swag it up, head to their truck - be impress, full and get yourself satisfied. 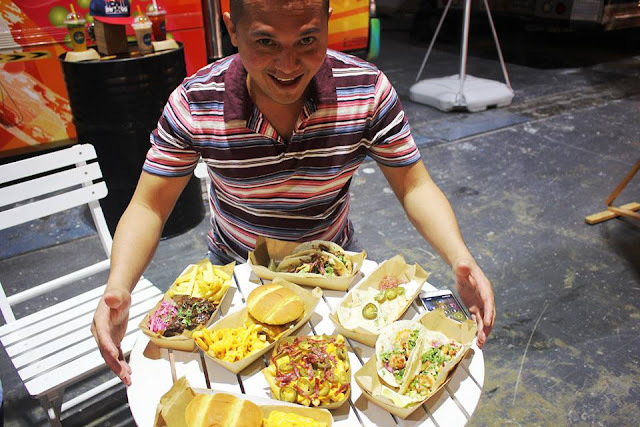 I’ll be rooting for this two ex-hoteliers as they continue to offer the best gourmet street food to everyone – safeguarding supreme quality and service. Consistency is guaranteed from their deep understanding of the industry, with years of experience from several five star properties in the region and the USA. Asking if they would go back to work in hotel again? Both are in unison that they don't think so. Now, that is not hard to understand at all, seeing them rocking it solid at the scene - for me that is enough validation, convinced that they are doing the right thing. Dubai Foodie - Part of Roxas Media. Copyright Reserved 2017. This blog contains affiliate and referral links.